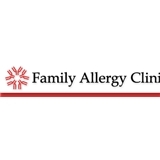 Family Allergy Clinic (McKinney) - Book Appointment Online! Staff are friendly, helpful, and professional. Dr. Page is very thorough. I do believe that my quality of life is going to be greatly improved under his care.